Karen has been a regular face and voice of ABC TV and radio sport since joining the ABC in 1989. After completing a Bachelor of Arts degree in Communications and Psychology at Macquarie University in Sydney, Karen spent eight years as a TV sports broadcaster and presenter, anchoring golf, tennis and other major sporting broadcasts on the ABC network. In 1997, she made the move to ABC Radio as the presenter of the weekend national sports program ‘Summer Grandstand’ – a role she still enjoys from her adopted home town of Perth. 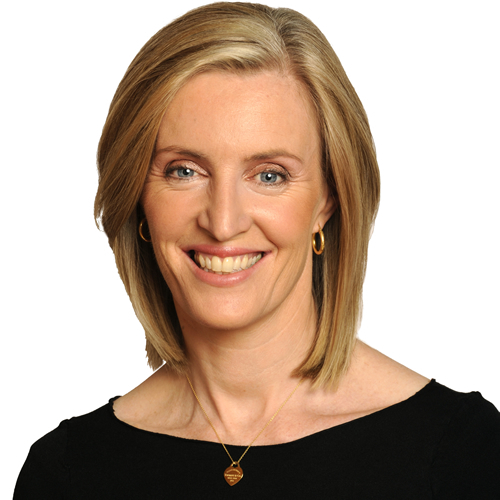 Karen co-hosted ABC Radio’s cover of the Sydney, Athens and Beijing Olympics, Kuala Lumpur and Manchester Commonwealth Games and has hosted six Paralympic Games (Lillehammer, Barcelona, Atlanta, Sydney, Beijing and London) with ABC TV. She was part of the Friday night fun of ‘Live & Sweaty’ on ABC TV in the early nineties and for six years presented sport on ABC TV’s weeknight news in Perth. Karen was also the regular host of ABC TV’s annual coverage of the Hopman Cup tennis tournament from 1994 to 2010. She was the Media Award winner at the 2000 and 2001 Australian Sports Awards. Karen is married to former ABC sports commentator Glenn Mitchell and is mother of thirteen year old James. Karen is an excellent master of ceremonies who regularly hosts major corporate and sporting functions such as W.A. Government Risk Management Conference, W.A. Industry & Export Awards, Australian Tourism Awards, W.A. Tourism Awards, Australian Sports Commission Fair Go for Officials Forum, UDIA Conference (twice), Chamber of Commerce & Industry of WA Resource Conference (twice), WorkCover Injury Management Conference, International Congress on Innovations in Nursing, AMEC (Association of Mining & Exploration Companies) Conference, and many others.